The Charity Commission has opened a statutory inquiry into two related charities after neither organisation could clearly account for how their money was spent. Future Vision Consortium, which provides grants, advocacy, advice, education and translation services to relieve poverty and sickness in the UK and Somalia, was in October 2017 added to the commission’s statutory class inquiry into charities that have defaulted on their annual accounts at least twice in the past five years. 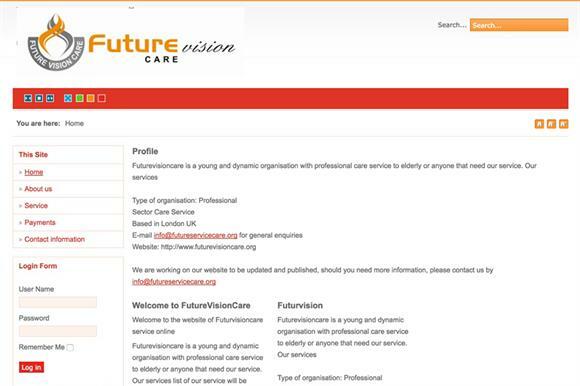 Although the charity has since submitted accounts, the commission said in a statement today that they were invalid because they were actually the accounts for Future Vision Care, an unregistered charity that shares the same trustees but provides professional care services to the elderly. The commission removed Future Vision Consortium from the double-defaulters class inquiry in August and placed it in a separate class inquiry alongside Future Vision Care. Future Vision Care had an income of £165,000 in the year to 31 May 2017, its accounts show. The commission said today: "The financial information submitted to the commission raised serious regulatory concerns about the administration, management and governance of both charities by the trustees. "In particular, there are concerns that charitable funds are being placed at risk, because not only is it unclear how Future Vision Consortium has applied its funds, but Future Vision Care’s accounts do not provide a clear explanation of how its income is applied in furtherance of its objects for the benefit of the public." It said there were also concerns about unauthorised payments to a trustee and whether the charities were being operated separately. The inquiry will look into the administration, governance and management of the charities, whether trustees had carried out activities to further the charities’ objectives and ensured they were operating for the public benefit, and whether they had properly managed any payments to trustees. It will also examine whether they have complied with their legal duties to register a charitable organisation or to wind up and remove an organisation from the register once it has ceased to operate, the statement said. Third Sector was unable to reach anyone from the charity for comment.